I’m not being philosophical here. I think it is impossible to be human and NOT be afraid. We are afraid of pain, afraid of loss, afraid of abandonment, failure and even afraid of basic change. We become uncomfortable and anxious. Sometimes it goes to extremes and we experience a panic attack. Psychologists explain that the root of our fears may be based on a previous experience – or it may be genetic! Human fears may go back to our hunter-gatherer days when we had to rely on our own skills to survive each day in a world of unknowns. Those unknowns included beasts who were looking for their next meal – US! That brings me to the question of the day? What are you afraid of? My answer is that I am afraid of everything listed in paragraph 1. But I also have some unreasonable fears that have plagued me all of my life. I’ve already written about one of them – claustrophobia. And here’s another: I suffer from arachnophobia, fear of spiders. This is one of those phobias which is unreasonable. It is not likely that I will die of a spider bite. So, why is my first instinct to scream and jump away when I see any spider bigger than a pinhead? I have known people who were afraid of mice. They don’t even bite. A fear of snakes or spiders or dogs seems more reasonable, although the majority of the time it is completely unfounded. Yes, there are cases where people have died because of a snake bite, spider bite or dog bite — but they are the exception rather than the rule. There is some interesting research out there about genetic disposition to a fear. I wonder, did my ancestors struggle with invasions of spiders in the eastern United States after immigrating from Ireland, Scotland, Germany and France? Did they fight spiders six generations ago in these other countries? Or — did I have a bad experience with spiders in my early life? I personally remember some bad experiences with my older brother as a child. He witnessed me freaking out at one of those hairy black and white spiders who are about the size of a dime – or smaller. So, he pretended to have one in his hand and chased me with it — whenever he got a chance. No, I never saw the spider he supposedly had. It was enough to imagine that my brother had it. I was probably about thirty years old before I could even look at a picture of a spider in a magazine without cringing. The good news is that we can condition ourselves not to experience unreasonable fears. That is, fears where in reality there is no immediate danger. I have gradually been able to get over my fear of most spiders, as long as they are smaller than a tarantula. Yes, I feel a knot of fear in my stomach, and yes I jump. But I don’t run. I grab the nearest broom or shoe to smash them with. 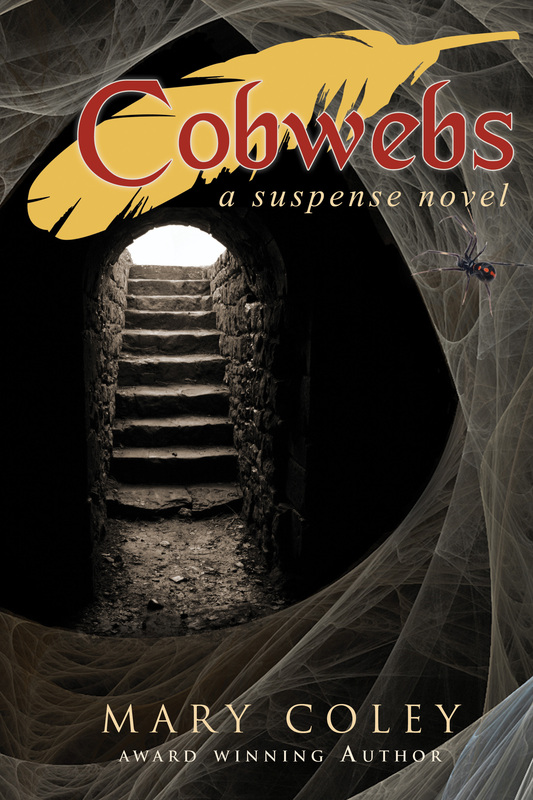 Jamie Aldrich, my main character in Cobwebs – A Suspense Novel, is afraid of spiders, too. It is one of her character weaknesses, I guess you could say. Unfortunately, someone guesses her phobia and sends her spidery presents, like a bouquet of dead roses where black widow spiders had made a home. An uncomfortable scene for Jamie and probably for my readers. Sorry about that. Jamie survives to solve the mystery, and I hope my readers will, too. Check back with me on Monday as the Cobwebs – Reboot continues with a look at the character of Aunt Elizabeth. Only 3 More — Cobwebs Reboot!